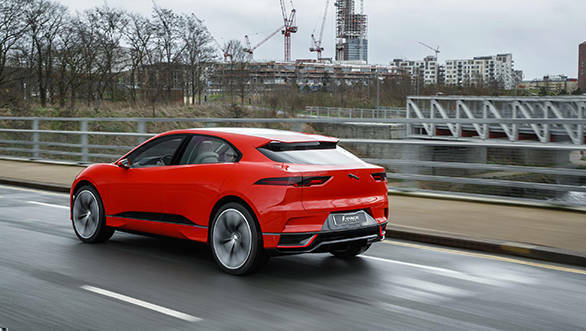 Jaguar has released images of their I-Pace electric car being driven on the streets of London's well-known Olympic Park. This was the first time that Jaguar's electric car was being driven on public roads and while this definitely is a landmark for Jaguar, it is also an important event for the automotive world. If you are someone who has been following the recent trends and happenings in the automotive world, you would notice the obvious shift towards environment friendly cars, with manufacturers around the world developing or wanting to develop electric cars. Electric cars are now not just economical and green, but also usable on longer distances. The foremost among the green race of course is Tesla. The Jaguar I-Pace is the only car previewed so far, which could possibly compete with Tesla on all levels, particularly the upcoming Tesla Model X SUV. It is powered by electric motors located on the front and rear axles giving it AWD capabilities. Together, these motors generate an output of 400PS and 700Nm, propelling the car from 0-100kmph in around 4 seconds. 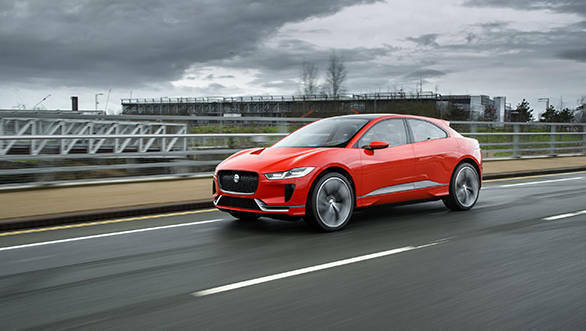 The I-Pace, with its 90kWh battery and a drag coefficient of just 0.29, according to Jaguar can do more than 500km on a single charge. Jaguar claims that the lithium-ion battery charges easily and quickly with 80-percent charge achieved in just around 90 minutes. Jaguar will be incorporating technologies which have been developed from their experience in the Formula E racing series, and has said that the I-Pace will be a true Jaguar and a true driver's car. Deliveries for the I-Pace will begin only in the second half of 2018.